Join your Scofield ROA for the “Movie at the Pool” at dusk (around 8:30 pm) on Saturday, June 6. 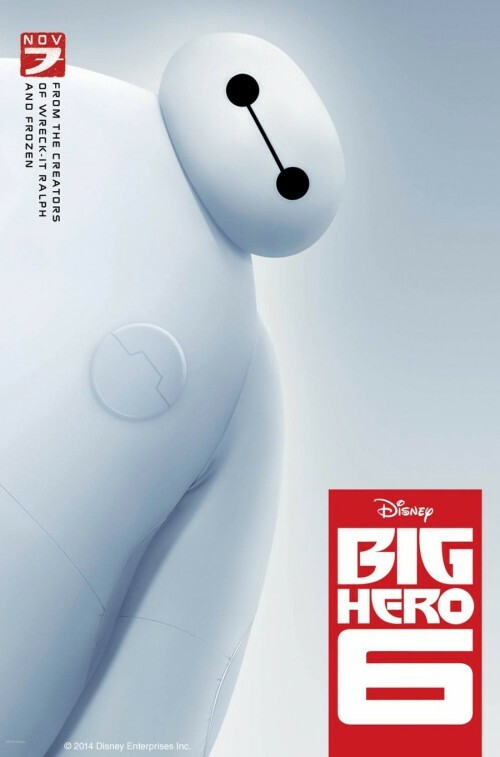 We’ll be watching the popular 2014 release “Big Hero 6” along with enjoying beverages and refreshments — including shaved ice from Kona Ice (available from 7 pm to 9 pm). 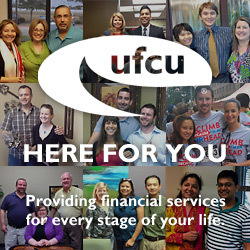 Many thanks to University Federal Credit Union for their sponsorship of this event! See you at the pool! The annual meeting of the Scofield Residential Owners’ Association will be held on Tuesday, May 19th at 7 pm at the Frank Fickett Boy Scout Center, 12500 North I-35, Austin TX 78753. Check-in will begin at 6:30 pm. Please join us for an important update on the past year from your Scofield ROA Board of Directors, as well as the election of one member to the board. The annual meeting is not only a informative and fun event, but necessary to the operation of our homeowners’ association. Information about the meeting, including a proxy form, is available here. If you are unable to attend, please complete your proxy form and return to Certified Management of Austin’s office by May 18, 2015, or you may send it with a neighbor who is attending. Your signed proxy will help meet the required quorum of ten (10%) percent. Hope to see you all on the 19th! Join the Connally High School Jazz Band for the return of our Jazz at the Pool event on Saturday, May 9 from 4 pm to 6 pm. Light refreshments will be served. Hope to see you there! 1. Annual Meeting: We are nearing the time for our next Annual Meeting of the ROA. This year’s meeting will be held at the Frank Fickett Scout Center, 12500 North I-35, on Tuesday, May 19 at 7 pm. Registration will begin at 6:30 pm. Please refer to the Annual Meeting Notice included in this mailing for additional information. Please attend if at all possible, or be sure to submit a proxy form if you are unable to attend. It’s essential that 10% of homeowners’ votes are recorded in person or by proxy to avoid having to reschedule the meeting. This year, we will be voting to fill one open board position; please complete the attached nomination form if you are interested in being considered for the position. 2. Pool Season: The pool opened for the season on Saturday, April 4. Hours are 5 pm to 10 pm Mondays and 6 am to 10 pm Tuesdays – Sundays. Lifeguards will be on duty during selected hours starting Memorial Day weekend. Please see the “Pool Documents/Forms” menu on the scofieldfarms.org website for details regarding pool rules, specific lifeguard hours, and pool party policies. 3. Landscaping: We have continued to add more drought-tolerant landscaping to public areas, installing newly updated landscaping at the neighborhood entrances at Foal Lane and Cutting Horse Lane in March. As part of this work, all irrigation for the beds in those areas was also converted to drip irrigation. 4. Social Events: Many thanks to Debra Wissman for her hard work on a successful Easter Egg Hunt on April 4! Despite the cool weather, the event was a big success. We also appreciate the assistance of The Fellowship at Scofield Farms church with the event. Our next event is the Movie at the Pool, scheduled for Saturday, June 6 at sunset. Join us to celebrate the beginning of summer with the movie “Big Hero 6”! Thanks to University Federal Credit Union for their continued financial support of this event. 5. Online Resources: Our website, scofieldfarms.org, continues to be the main source for news and information about the ROA. Here, you can also sign up for our email newsletter as well as join the scofieldfarms.org discussion forum. Also, our Scofield Farms Instant Communicator emergency messaging system is an additional resource for receiving urgent messages (such as severe weather warnings, crimes in progress, etc.). Please email webmaster@scofieldfarms.org if you wish to join the Instant Communicator group, or have any other technical questions. 6. Contact Information: Please remember that the fastest way to get a response to most common questions regarding the ROA is to call Certified Management of Austin at 512-339-6962, or email frontdesk@cmaaustin.com. However, you may also contact the Board of Directors for assistance at board@scofieldfarms.org. 7. School News: The Kindergarten Round-Up for new kindergarten students is scheduled to take place on Thursday, May 7 from 9 am to 6 pm in the Parmer Lane Elementary office. Please call Parmer Lane Elementary at 512-594-4000 for more details, or visit the Pflugerville ISD website at pfisd.net. 8. Deed Restrictions: During the spring growing season, please continue to be vigilant to keep grass cut and edged regularly and control weeds. Trees and shrubs should also be trimmed as necessary. Also, any fences that have broken or missing pickets should be repaired or replaced. Please note that fencing can be no more than 6 feet tall with a picket size of 3.5 to 4 inches. Taller or wider fences will result in a violation notice. We appreciate your cooperation in continuing to keep our property values high through proper maintenance of our homes and yards! 9. Architectural Control Committee: Just a reminder – Architectural Control Committee approval is required for changes to your property such as a new painting scheme, installation of a deck or playscape, and major landscaping changes. Xeriscaped lawns (containing 25%+ turf) are also possible with Architectural Control Committee approval. Please contact our HOA management company, Certified Management of Austin, at 512-339-6962 with any questions or to start the review process. The Scofield Farms Spring Garage Sale will take place this Saturday, May 2, starting at 8 am. Please see the attached map for more details.